All Marvel actors have a knack for picking on his or her co-star on various occasions. 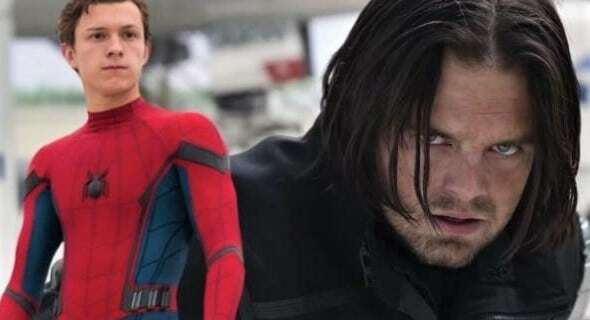 On Thursday, Sebastian Stan who reprises Bucky Barnes in the franchise took a crack at one of his colleagues at Marvel, Tom Holland. While appearing on Jimmy Kimmel Live, Stan was asked which star did he like working with the least. After smiling, Stan went for Holland. Kimmel laughed it out and asked him if “Tom is the nicest kid in the world”, as everyone who has met him seems to love him. However, that didn’t stop Stan from taking a dig at the actor. Stan is known for being a light-hearted actor who always has a good time on the set, making people laugh. This was in full effect when Stan put on the Winter Soldier arm for the first time on the set. Stan made robotic sounds thereafter and went about picking random objects on the set. Avengers 4 will release on May 3.